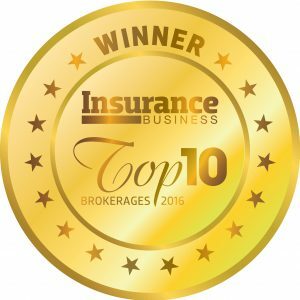 Clive Levinthal, CEO of Experien Insurance Services, says the brokerage is “excited and proud” to be named one of Insurance Business’s Top 10 brokerages for 2016. “We have worked hard to build an amazing team of people with an amazing culture,” he says. So, what does Levinthal think separates Experien from competitors? “Our brokers have built up excellent knowledge of the insurance needs and solutions for doctors and dentists,” he explains. “Some brokers specialise in the medical sector but usually for only one or two lines of insurance. Over the last year, Levinthal says, there’ve been quite a few highlights for the brokerage that he’s been particularly proud of. And, fortunately for the business, there should be more good times ahead. “We have launched a new multipolicy reward which we think is unique and will be well received by our target market,” Levinthal says. What does he think will be paramount for brokers operating in the world of tomorrow? Clive Levinthal says the brokerage applies considerable energy to maintaining and enhancing a great teamwork-based culture. “We celebrate and reward teamwork every two months and award an annual overseas holiday prize to the member of staff that shows the greatest demonstration of teamwork as voted by their peers. We also focus on ongoing training and hold regular sessions to discuss things like claims stories, tricky cases and updates on insurers.